Musical instruments make sounds in different ways. Can you work out how you would make each instrument make a sound? Look at the pictures of the instruments and imagine the sound that they make. Then decide how the sound is made. Sometimes an instrument can be played in more than one way. For instance, look at this cello. SAMPLE QUESTION: How do you think the cello is played? 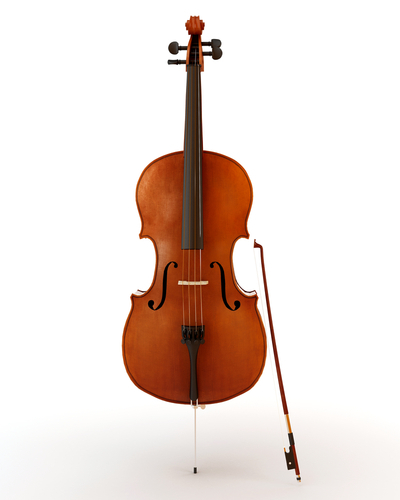 Answer: Cellos are mostly played with a bow but it can sometimes be plucked. How does this trumpet make a sound? How does this guitar make a sound? How does these drums make a sound? How does this violin make a sound? How does this clarinet make a sound? How does this xylophone make a sound? How does this saxophone make a sound? How do these bongos make a sound? How does this double bass make a sound? 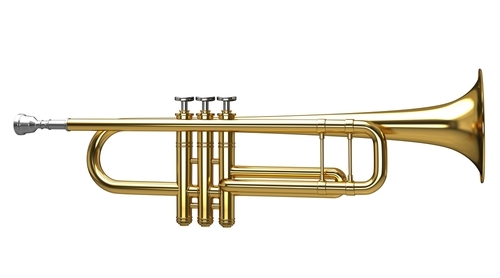 Trumpets are blown at the narrow end and the sound comes out of the other end. The buttons at the top are pushed down to make different notes. 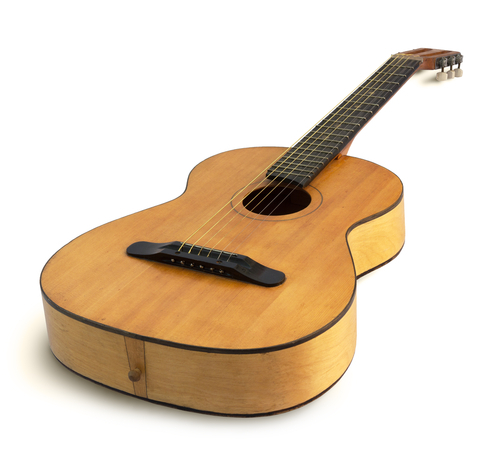 The strings of a guitar are plucked with your fingers. The sound of an electric guitar is made from a speaker. 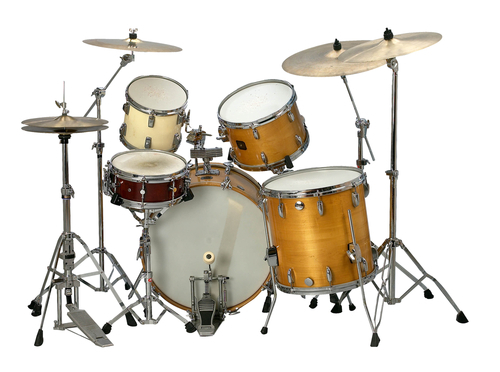 Drummers use drum sticks to hit the drums to make a sound. The large drum in the middle is hit with a drum stick that is moved with the drummer's foot. 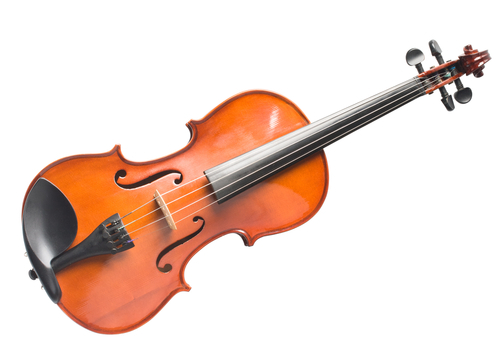 Violins are mostly played using a bow. Sometimes the strings of the violin are plucked. 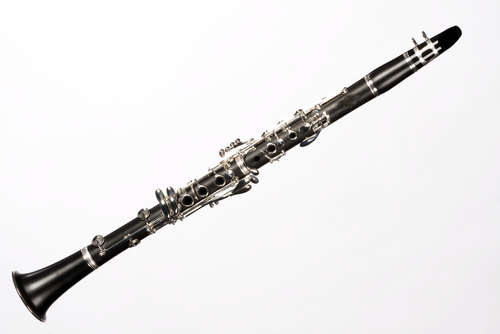 Clarinets are played by blowing into the narrow end and the sound comes out of the other end. 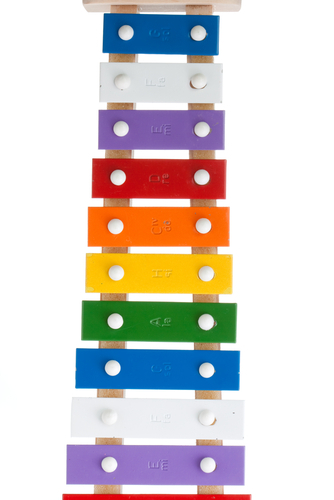 Xylophones are played by hitting the coloured bars with a stick. The different coloured bars make different notes. 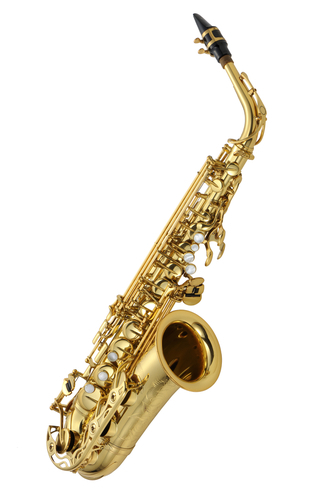 Saxophones are played by blowing into the narrow end at the top. The sound comes out of the end. 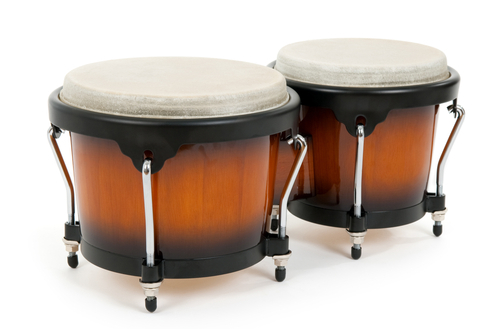 Bongos are played by being hit with hands. 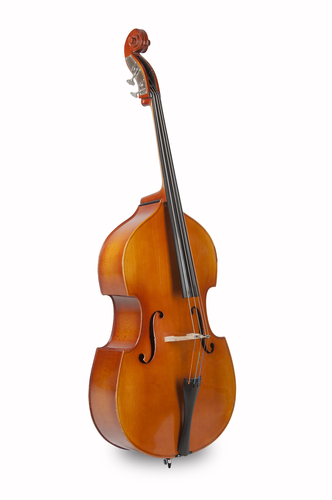 The Double Bass is a very large instrument that can be played either by plucking or bowing the strings.